1989 Ticonderoga Dr San Mateo, CA. | MLS# 460746 | Andrew de Vries, Probate Real Estate, San Francisco Probate Real Estate, Oakland Probate Real Estate, Berkeley Probate Real Estate, Alameda Probate Real Estate, Lafayette, Contra Costa Probate Real Estate, Probate realtor, Probate agent, Probate Broker. 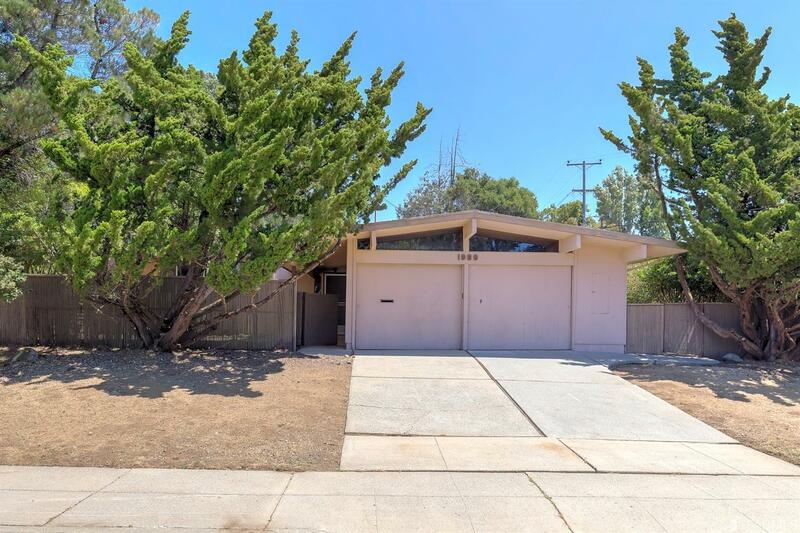 This rarely available vintage 3BD/2BA Eichler, nestled on a large & private corner lot in the desirable San Mateo Highlands, is ready for a new owner's vision & passion! The bright level-in home boasts a large FLR with FP, large eat-in kitchen w/dining or family room area, master suite, PLUS 2 ample bedrooms and a large 2-car garage. Stunning Eichler details throughout including wall to ceiling windows, beamed ceilings & outdoor patio orientation from most rooms. 9,900 Sq Ft lot affords roomy & secluded front, back & side yards for gardening & play. Home is exceptionally well located, with easy access to 280/92 fwys, SFO, The City, SV and more! Walking distance to hiking & biking trails, highly-ranked local schools & Highlands Rec. Center.